Cedrob Pasze is a brand of complete and complementary compound feeds for poultry and pigs. Cedrob Pasze has been operating in the company’s structure since 2007. In recent years, the brand has grown extremely dynamically, becoming one of the main pillars of the Cedrob Group. 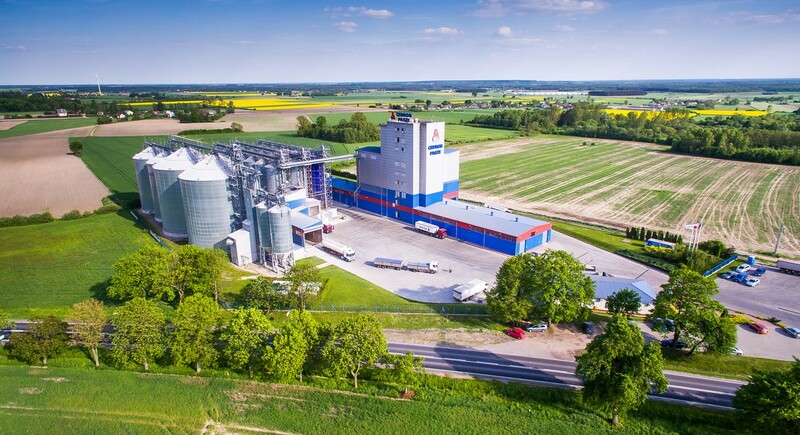 As part of our development, there are currently some of the most modern, fully automated plants in Poland - in Gumowo, Raciąż, Rypin and Ligota Dolna, near Kluczbork, with a total production capacity of 135,000 tonnes per month. The brand sells over one million tonnes of compound feeds annually. Properly selected raw material for the production of feed guarantees a completely safe final product. Cedrob Pasze, therefore, is based on Polish, proven suppliers of cereal grains. The other components, including premixtures, amino acids, mineral preparations, fats and all other feed materials are provided by renowned manufacturers on the domestic and foreign market – this is to create our compound feeds with a varied and safe composition. An expert in animal feeding and providing comprehensive nutritional solutions. Our Cedrob Pasze brand offers compound feeds for slaughter chickens, slaughter turkeys, flocks of laying and meat hens, hens laying eggs for sale, ducks, geese and breeding swine. The technological solutions used in all the manufacturing plants enable to obtain high-quality compound feeds, effective in animal breeding and completely safe for animals. 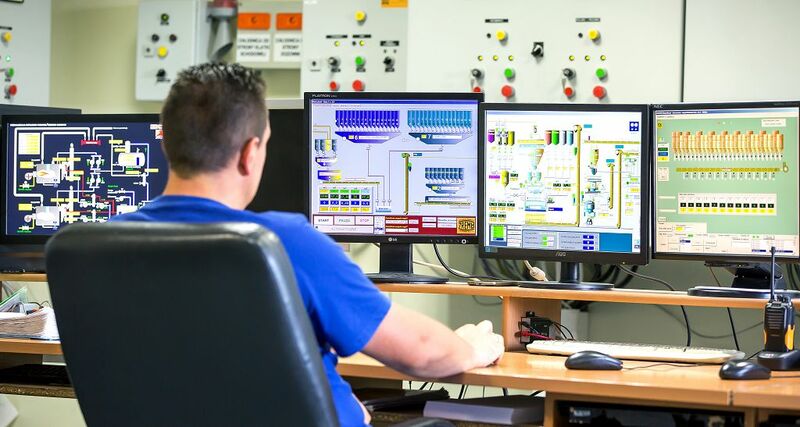 The proper working of the production lines is supervised by a special control program, which is intended to control all devices and processes to ensure the maintenance of the highest technological standard. In the manufacturing process, the brand also uses modern devices to meet all the requirements of the hygienization process. These devices also completely eliminate the possibility of entering of pathogenic germs to feed. Cedrob Pasze has been appreciated for innovative solutions, high-quality products assortment and an individual approach to the customer. Every year, Cedrob Pasze buys in hundreds of thousands of tons of grain from local farmers. The transport fleet of over 100 trucks and two trains overcomes nearly 800,000 kilometres per month. The brand cooperates with the group of cereal suppliers, which is currently a strong group of 8,000 local farmers and this number is continually growing - each month, the brand observes an increase in the number of partners by a further 100 new entities. Farmers appreciate Cedrob Pasze for fair, transparent rules of cooperation, a guaranteed price - a secure solution in case of a price collapse in the cereals market, a short payment period and collecting the bagged grain from the farm itself. There are also a dozen small warehouses of Cedrob Pasze currently operating in the country which buy in grain - this facility is especially addressed to smaller farms and it helps to save both time and money. Cedrob Pasze has successively been building a group of customers of its own products. Since 2008, the market share of our compound feeds has increased more than threefold. Today, every eighth poultry farmer in Poland buys our products for animal feeding purposes. The latest and financially attractive proposal, also free from market risk, is a pig farming project. The undertaking being carried out in cooperation with farmers has already found its long term partners in the central and southern Poland. The efforts put into the development of our products have been appreciated and you can find our brand in “Golden Seven of Polish Agriculture” - a special distinction awarded to Polish companies operating in the agricultural industry. Cedrob Pasze has been recognised for innovative solutions, a high quality of the offered assortment and an individual approach to the customer. You are welcome to cooperate with us. Cedrob Pasze is a leading producer of complete compound feeds and concentrates for farmed animals. For almost 10 years we have been supplying our products to the largest breeders of chickens, turkeys, hens, ducks, geese and pigs.